It was Leland’s first sighting of Irving Johnson’s brigantine Yankee that gave birth to his dream of building and sailing his own boat. Growing up on the shores of Gloucester Massachusetts, Leland eventually found his way to California, where he met his wife Cecily; they began construction on a wooden 66-foot gaff-rigged schooner, which they launched in 2005. Leland’s working background is as interesting as it is varied. He brings to San Diego Boat Movers a lifetime of experience as a builder, shipwright, and rigger. His talent for “thinking outside the box” has helped develop his skills as leader and innovator. As the new owner, Leland Parsons feels honored to have been chosen by Larry Wood to carry on the outstanding reputation of San Diego Boat Movers. Tom handles all Sales, Logistics and Transportation Management for SDBM, so you’ll almost certainly be talking with him. Boating experience started at age 9 in San Diego, and he’s been involved with the industry in a variety of ways: racing, managing boat rentals, charter captain (Tom still maintains his 50T USCG License), and loading boats for transport. He’s happy to help you figure out the best way to move your pride and joy, and is very knowledgeable on tall, wide and overweight loads. Samantha provides sales support, outstanding customer service, and knows how to wrangle all personalities and juggle whatever comes her way efficiently! She is familiar with boats, has a military family background and just recently made her way to the west coast. She can take care of your logistical questions and concerns, handle administrative complexities with rapid response time, all with a smile on her face and positive attitude. We are proud to have Samantha serve as our Administrative Logistics Assistant. 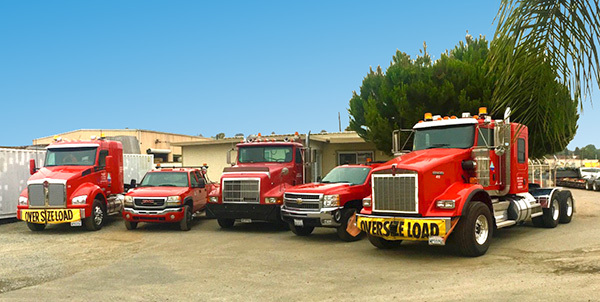 Vic started young in the transport business, working at his father’s permit service, providing routing and permits for oversize loads. With that training, and a knack for properly loading boats, and a mind-set for safety, Vic quickly became one of our best long haul boat transporters. From a 181′ boat mast to a 20′ high boat, he’s done it all. As the designated jokester, he’s turned our hair white a few times. He left for Texas with a boat, then called in later to advise that he was in Seattle, and “where should he deliver it?” After we recovered, we were pleased to find out that he was really somewhere in Arizona, and well on his way to Texas. He’s very serious about what he does, but be prepared to have your leg pulled if he moves your boat! Chris is an experienced truck driver and we are thrilled to have him as part of our growing team. He has endless experience with transporting, operating complex rigs and equipment and can do his own repairs and preventative maintenance. To outline a few of his skills, he was a construction mechanic in the Navy for 5 years, can execute crane work on elevated causeways and continues to rig and tie down oversized loads with confidence and ease. He is reliable, willing to take on new tasks, a team player and always very safety conscious! Josh has been a boat enthusiast and “marina world” lover his entire life and has no plans to stop. He grew up in Ohio on Buckeye Lake, where he became a certified marine technician and later a marina business owner. After selling his marina business he moved to Southwest Florida where he spent years as a licensed boat sales agent, designing and building boats, hauling boats, and in product development for one of the largest marine engine manufacturers in the world. Josh has also carried some type of C.D.L. license since he was 18 years old, having grown up in his father’s business which included a Logging and Lumber division. He brings a unique array of professional skills to San Diego Boat Movers, and absolutely loves the challenges and technical scenarios that come his way.